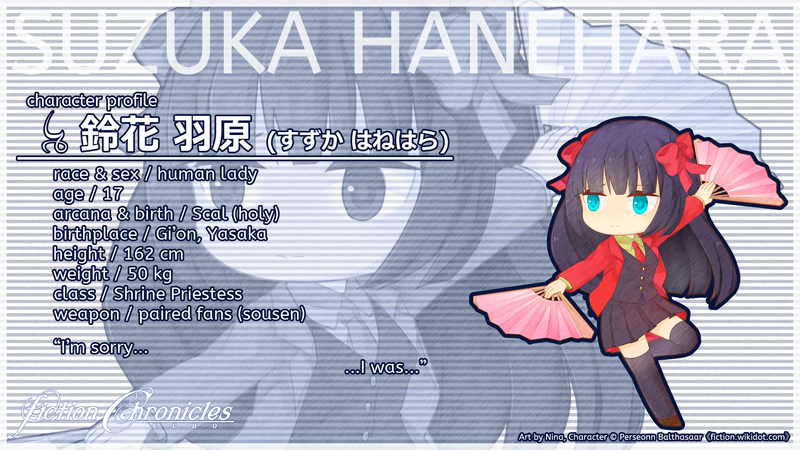 Suzuka Hanehara (羽原 鈴花 Hanehara Suzuka) is a shrine maiden and a powerful exorcist of Arayashiki. She made a contract with a faerie named Poison and an imp succubus named Eve. An chance encounter forced her to abandon her exorcist organization, causing her to seek refuge in the vast region of Kamishichiken. With the aid of Poison and Eve, she met a courtesan named Manaka to help her in her journey. 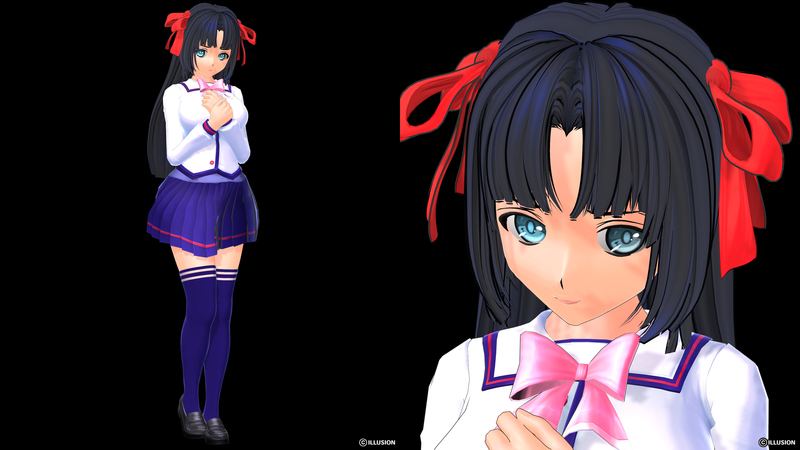 Suzuka has aqua eyes and long tidy dark hair. She possesses high spiritual power and used to be easily possessed by evil spirits. With rigorous training over years, Suzuka became capable of controlling her power and joined the ranks of spirit summoner. She appears to be a silent type, but she actually talks a lot in a special frequency that can only be heard by spirit beasts. 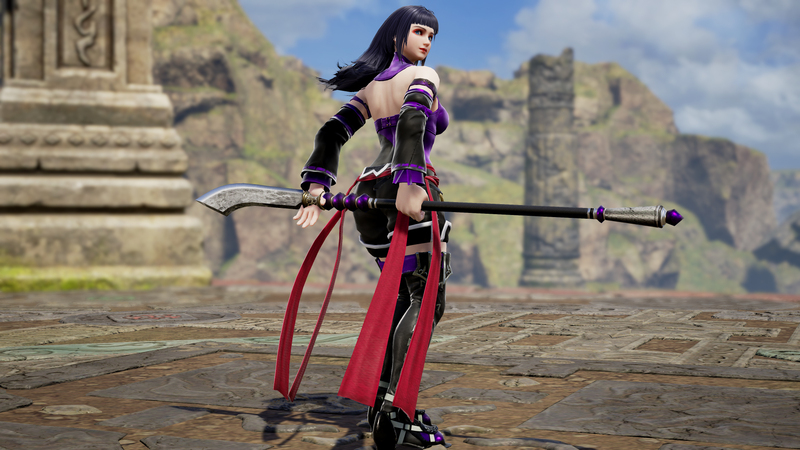 In battle, Suzuka wields a pair of fans and can summon multiple spirits to aid her. Suzuka's journey represents her inexperienced drive. She has strong, unfamiliar feelings that excite and frighten her. She knows that she must accept and reveal them eventually, but at the moment, she is not ready. Suzuka's name was taken from an angel in Angelic Layer. Her last name is taken from the last name of Heat Dopant in Kamen Rider W. She is 17 years old during the event of Echo, 162 cm tall and weighs 50 kg. 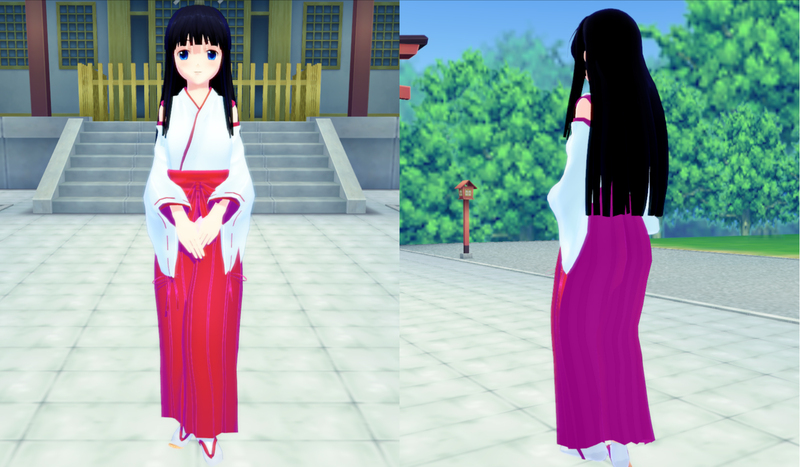 Going for her classic shrine maiden look, only seen at the beginning of Echo. Suzuka was originally concepted to be Spica's daughter. She would make an appearance along with her mother in fiction: Morning Moon. However, since Morning Moon was rewritten as post-apocalyptic rather than a regular adventure, Suzuka was cut from the time line. Since it is a waste to discard or assimilate her concept, I decided to make her the main character of Echoes, a short story about a spirit summoner. 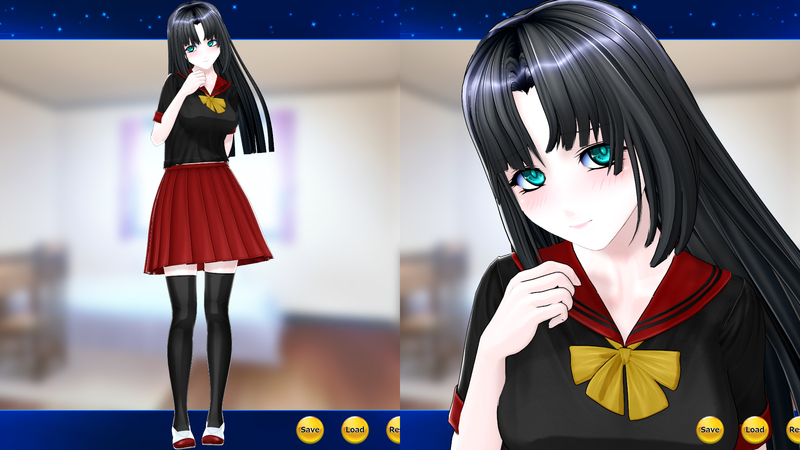 I aimed for her school look, but apparently it needs to go dark to achieve Suzuka's usual look. 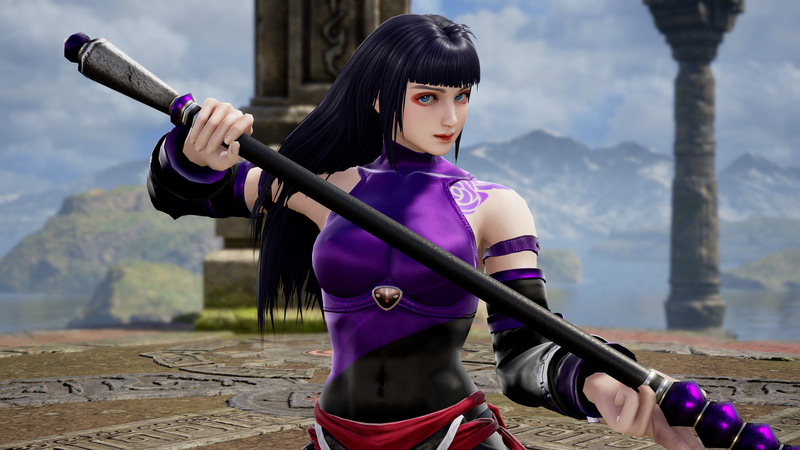 A close recreation of her SC4 version with slight alterations. 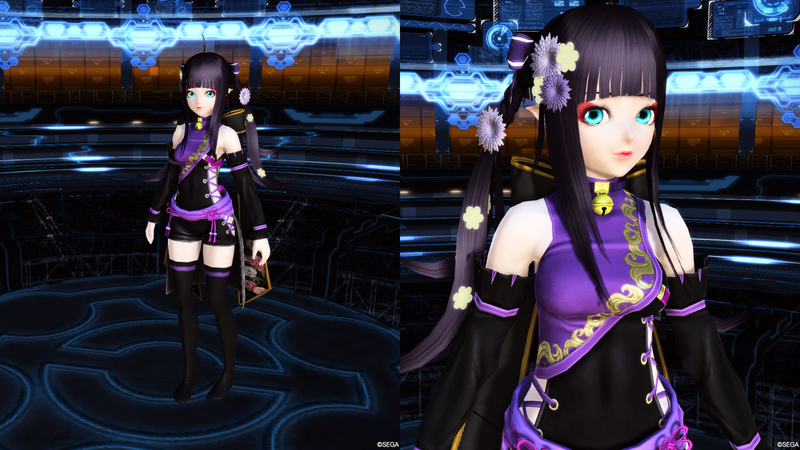 The alterations works well to meld her with her SC5 look. 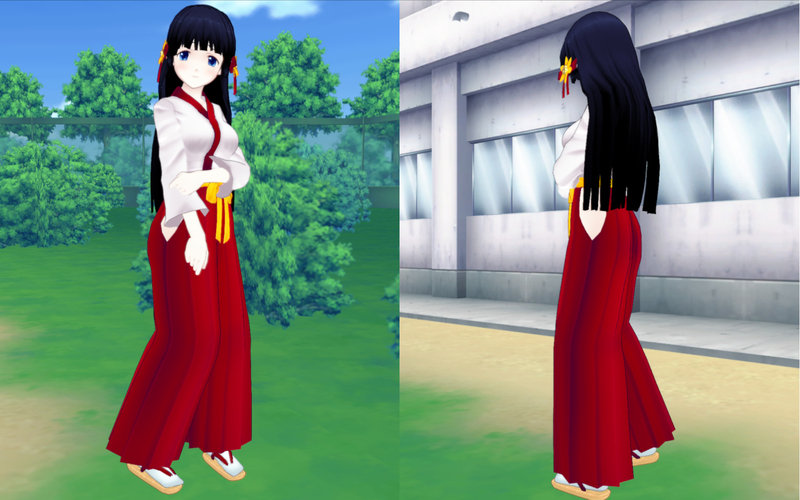 This costume is very close to her shrine maiden outfit. The addition of armor is well chosen! 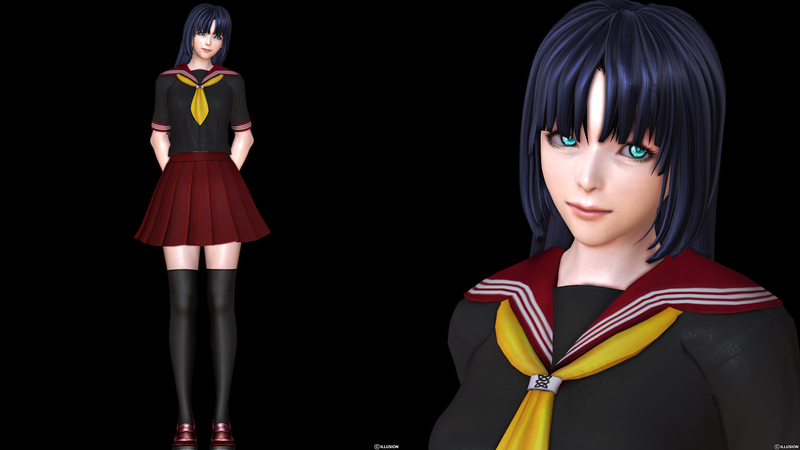 Finally she can use a sailor outfit that does not make her look fat! The small tube on her waist is a mystical pipe for storing contracted spirits. 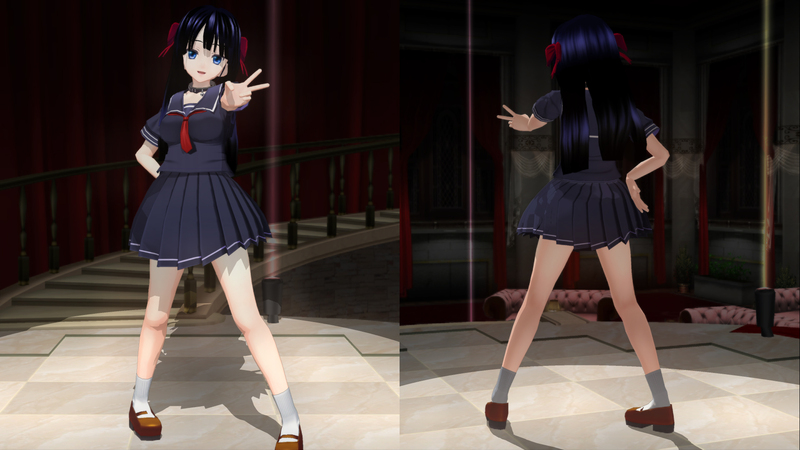 The second outfit is her uniform when she is still affiliated with Ootengu. 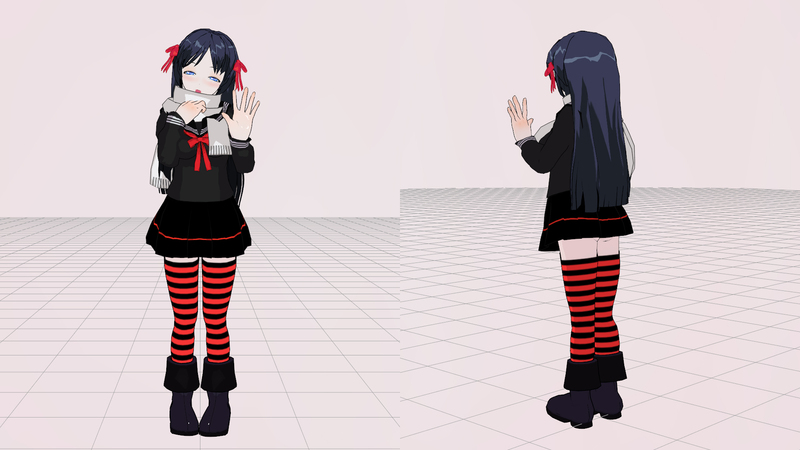 It is closer to her renditions for other games. The plumes I used were supposed to be hand-held fans. The sleeves are supposed to be connected, forming a cape. This is dark version of her outfit and her default form. The alternate name for this costume is Ame no Uzume. The light version of her outfit when the fan on her face is removed. 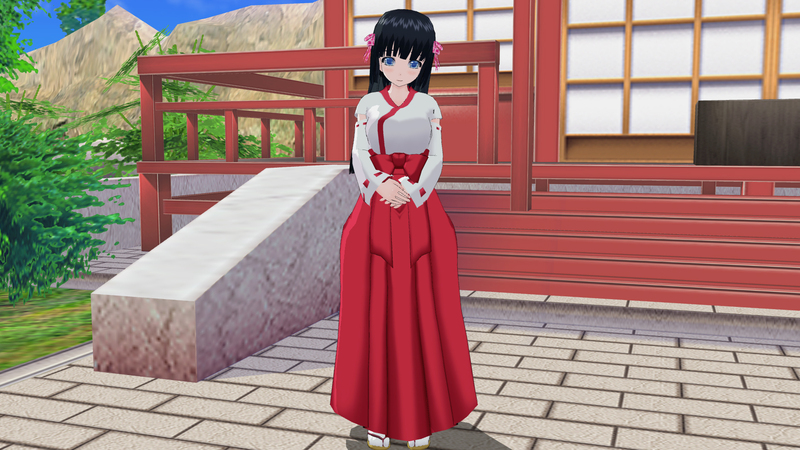 Suzuka is intended to be a shrine maiden and this is the first game she actually appears as one. The moveset fits her well and I really like her incarnation in here. Altering her common priestess look for a more ceremonial one. The paired fans has become her official weapon. At first I used Mitsunari's Fan, but she moves way too slow. Since she uses Twin Fans and is supposed to represent festivities, Buster recommended Okuni's umbrella instead.